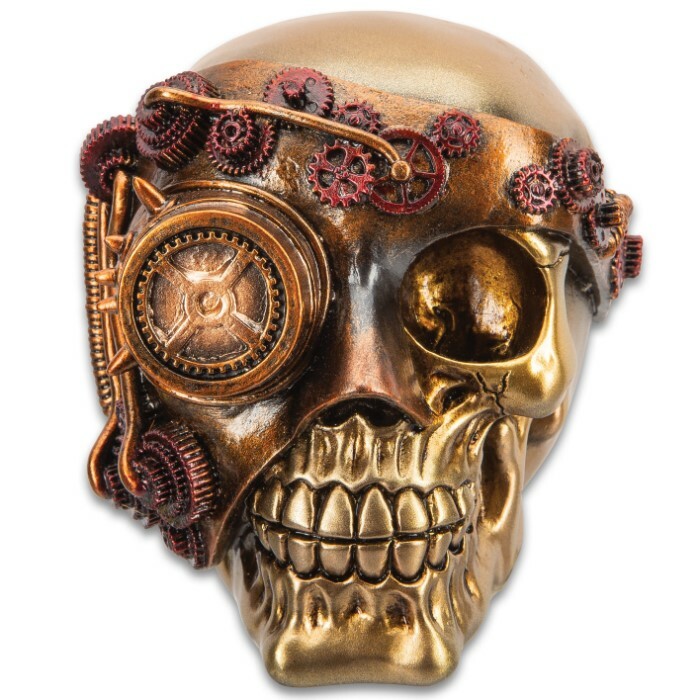 Steampunk Joe Skullpture - Crafted Of Polyresin, Hand-painted Details, Original Design - Dimensions 5 1/2”x 4 1/2”x 5” | BUDK.com - Knives & Swords At The Lowest Prices! You’ve seen those fake skulls come out every Halloween? Yeah…that’s not what you’re looking at here. 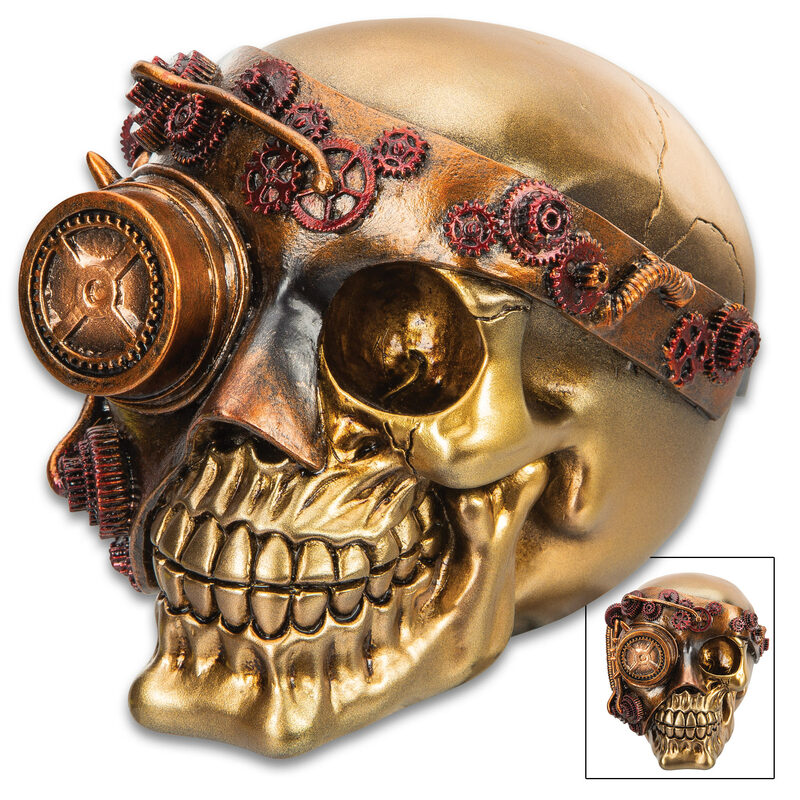 Our Steampunk Joe Skullpture not only broke the mold but shattered it into a million pieces and set it on fire! Expertly crafted of high-quality polyresin, this unique piece is an intricately detailed and realistic sculpture that makes a great statement piece and conversation starter for your home or office - year round. 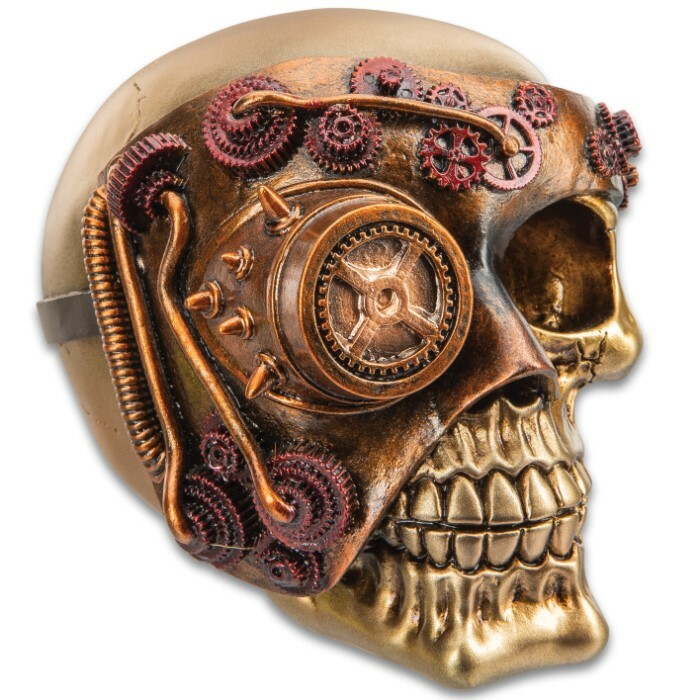 You absolutely won’t believe how life-like it is from the replicated bone texture to the replicated copper metal of the gears and cogs of the mechanical eye-scope. Fine quality and original design make our home decor collection stand above all others. 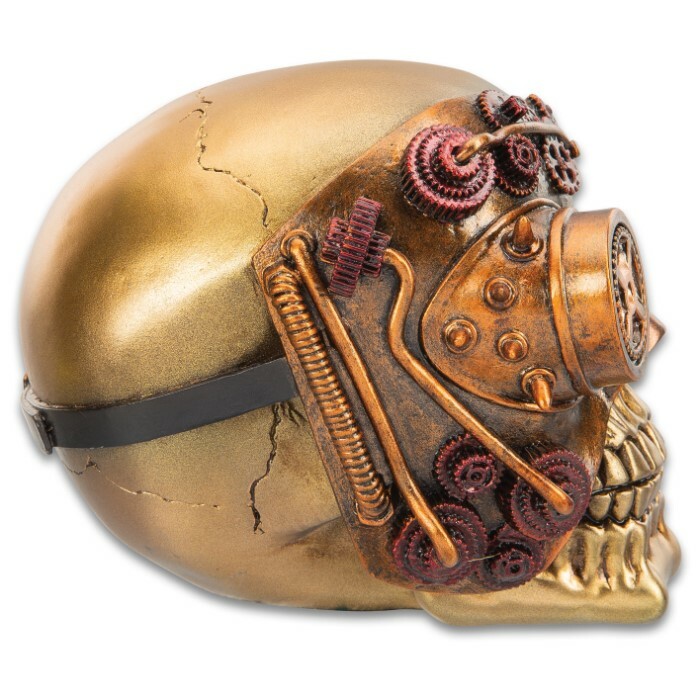 Make sure you check out our other one-of-a-kind Skullptures! There’s one that is perfect for you - guaranteed!